The University of New England is an innovative health sciences university grounded in the liberal arts, with two distinctive coastal Maine campuses and unique study abroad opportunities. 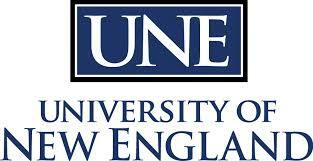 UNE has internationally recognized scholars in the sciences, health, medicine and humanities; offers more than 40 undergraduate, graduate and professional degree programs; and is home to Maine̠s only medical school. It is one of a handful of private universities with a comprehensive health education mission including medicine, pharmacy, dental medicine, nursing and an array of allied health professions. UNE's interprofessional education initiatives prepare future healthcare professionals to practice comprehensive and collaborative team-based care.